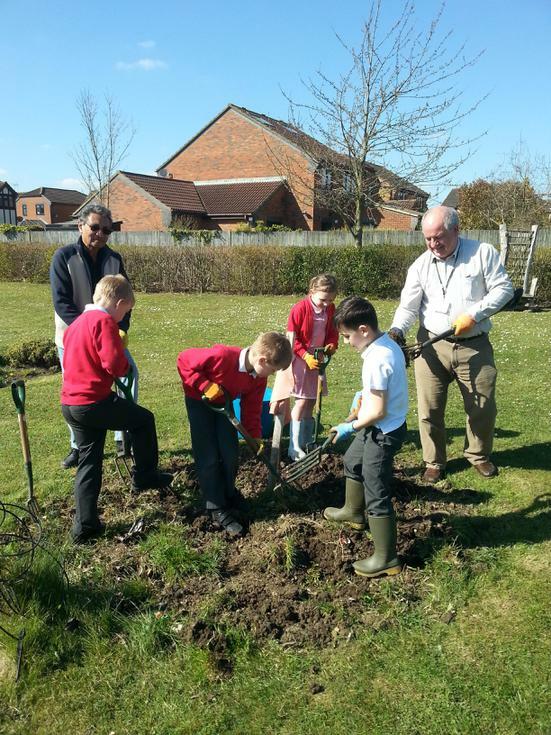 On Tuesday, 19th April, The children of the Hillmead Primary School Gardening Club in Bishop's Stortford have planted rocket seeds that had previously spent six months in microgravity in space on board of the International Space Station. 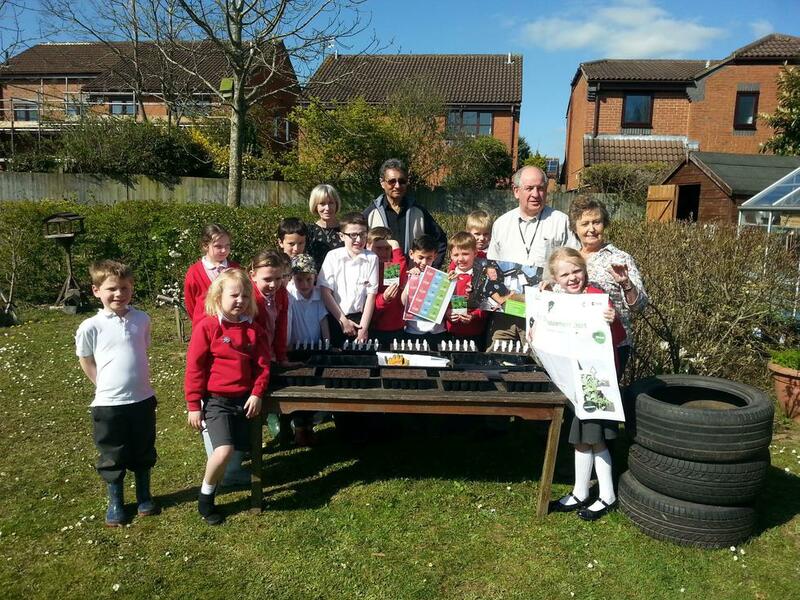 The school has been selected to participate in the Rocket Science Experiment run by the Royal Horticultural Society's Campaign for School Gardening. The aim of the experiment is to compare the behaviour of seeds that have been to space with those that have stayed on Earth. 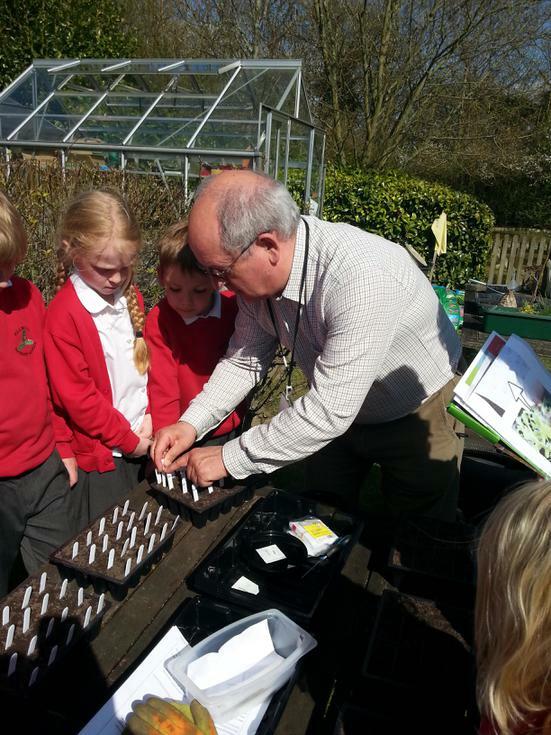 Over the next 6 weeks the children will be monitoring the development of the seeds, make measurements and record their findings to be gathered centrally by the RHS. 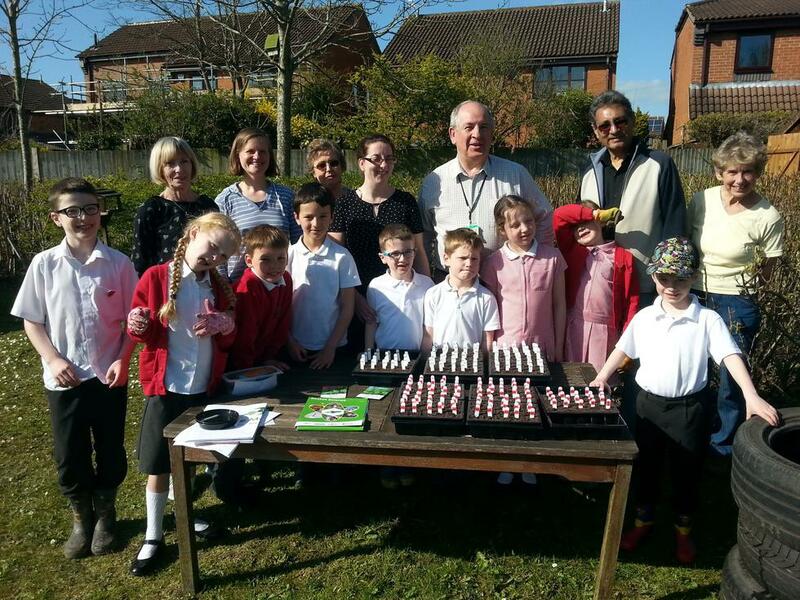 Cllr Colin Woodward came to support the launch and planted the very first space rocket seed in the Hillmead garden.